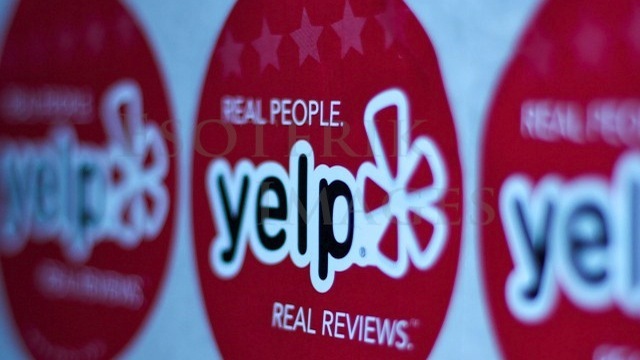 Yelp announced yesterday that it’s continuing to crack down on fake reviews with a new round of Consumer Alerts. Launched in 2012, this label appears on the pages of businesses that have been caught buying reviews, or participating in other unsavory review practices. Similar to its previous alert — which called out businesses that were caught trying to buy fake reviews — the new message tells consumers that Yelp “caught someone offering up cash, discounts, gift certificates or other incentives in exchange for reviews about this business.” A Yelp spokesperson declined to say exactly how many businesses are getting this alert, but did say that it will be displayed on the affected business profiles for the next 90 days. Studies have shown that 85 percent of consumers rely on the Internet and review sites to find local businesses. According to Google Analytics, an average of 108 million monthly unique visitors turned to Yelp last quarter to connect with some of these businesses, a move that likely influenced consumers’ spending decisions. With those kind of numbers it’s not surprising that companies want to put their best foot forward, but in some cases, that effort doesn’t come across as genuine. Instead, some businesses have tried to cash in on that traffic by paying or otherwise incentivizing people to write fake reviews. This is not only unethical, but it also results in several unsatisfied customers who visited the business with high expectations based on Yelp reviews, only to be let down. In turn, companies trying to game the system only end up ruining review sites for everyone, including themselves. These alerts, although publicly shaming, are really meant to help consumers decipher between helpful and coached reviews. Understandably some people might be reluctant to trust the feedback on the platform and so they turn to other services, like Foursquare or Google+. While Yelp is still a powerful traffic driver for local businesses, this serves as a good reminder to business owners to monitor what’s being said about you on other platforms.